Exactly What Version of Jean-Luc Picard is Returning? After seven seasons and four movies captaining the U.S.S. Enterprise as Jean-Luc Picard, Patrick Stewart disengaged from Starfleet after Star Trek: Nemesis (2002), but now he was set to return to the role that had made him famous. In recent years, he had publicly admitted that he no further interest in playing the captain of the U.S.S. Enterprise, after it became clear to him that he had been type-cast. That’s when he decided to permanently retire the character, and proceeded to turn down any please from studios to fans to put on the Starfleet uniform again. But in mid-August of last year, I was overjoyed to see that one of my favorite Star Trek characters would be returning in his own series. Stewart shocked geekdom when he announced that Captain Jean-Luc Picard would be making his return in an all-new Star Trek series for CBS All-Access. I didn’t give it much thought at the time, because honestly I had always felt that ST:TNG was quite liberal in its politics. Why should this iteration be any different. But would this CBS All Access iteration of Picard be that different? Earlier this month, Executive producer Alex Kurtzman, who has guided the franchise (and a few of its feature films), and who took over as showrunner on season two, did not one but two interviews where he discussed the project which is well into pre-production. What we had done is shown [Patrick Stewart] in the writing that we at least wanted to try for something that was different and that he was coming to the table with people that not only loved him, but loved the character. From there we started building it very much together. Then began the process of saying, “What do we want to do and how is this different? How are we honoring Picard? How are we honoring the fans? How are we honoring The Next Generation?” And this kind of amazing thing has emerged and it will feel really different than Discovery, but that is to me a great thing and necessary thing. The destruction of the Romulan homeworld in 2009’s film “Star Trek,” Kurtzman said, was a defining event in Picard’s career, one that sets up the role Stewart will play on the still-untitled new show. “Picard’s life was radically altered by the dissolution of the Romulan Empire,” Kurtzman explained. He added that Stewart himself loved the show’s new premise once he saw how different his reprised role would be. “He [Stewart] threw down an amazing gauntlet and said, ‘If we do this, I want it to be so different, I want it to be both what people remember but also not what they’re expecting at all. Otherwise, why do it? '” Kurtzman said. Details about the new series are scarce, but it already appears as if Picard won’t be overseeing the personal and political problems facing his crew and the cosmos in the style of “The Next Generation.” Kurtzman did add, however, that “anything could happen,” when asked whether some of the old “TNG” cast would show up on the new show for a cameo or two. Quite how the Kelvin timeline will be woven into the prime timeline still baffles us. I’m just wondering if this version of Picard will respect the timeline put forth in the series finale of TNG “All Good Things” (which took place 25 years in the future of that episode). 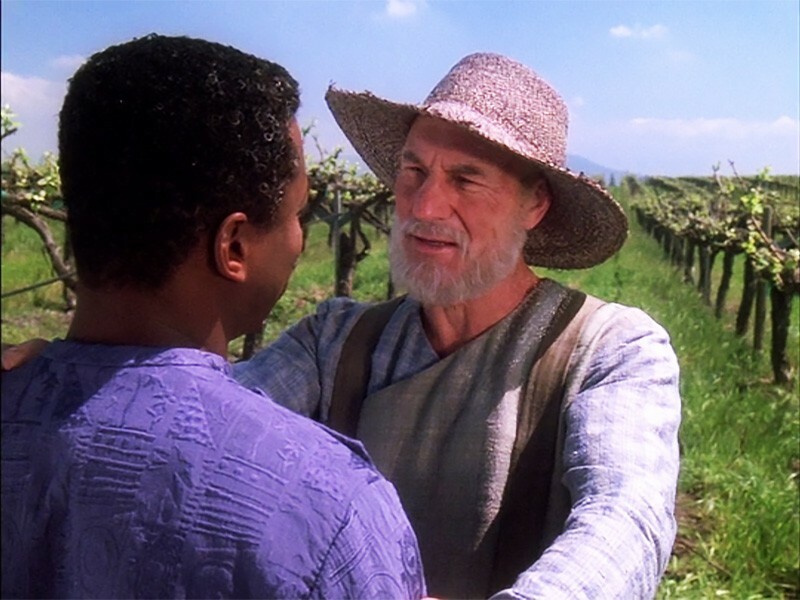 Will he be retired from Starfleet and working in a vineyard? Or could this be the Picard from the Mirror Universe? Or will it simply be an even more “woke” version than we’ve already gotten in past iterations. I’m hearing this weekend that there are discussions going on about the Picard series doing a crossover with Star Trek Discovery as well. Not sure what I think about that.